TEHRAN, June 23 (Mehr News Agency) -- Iranian poet Ahmad Shamlu paraphernalia was purchased by his son Siavash on Sunday. Siavash paid 5,500,000,000 rials (about 5m dollars) to the items which were kept by Shamlu's wife Ayda in the poet's house in Karaj, the Persian service of ISNA reported on Monday. Siavash paid a little sum of money and will pay the entire sum in a month and will take the items. He said that he will be thinking of launching Shamlu's museum within a month. At Home with Aida Shamlou - The late leading Iranian poet, Ahmad Shamlou, and his wife, Aida, lived and worked together for 40 years. Aida is now working on Shamlou's unfinished works, publishing them and preserving his legacy. 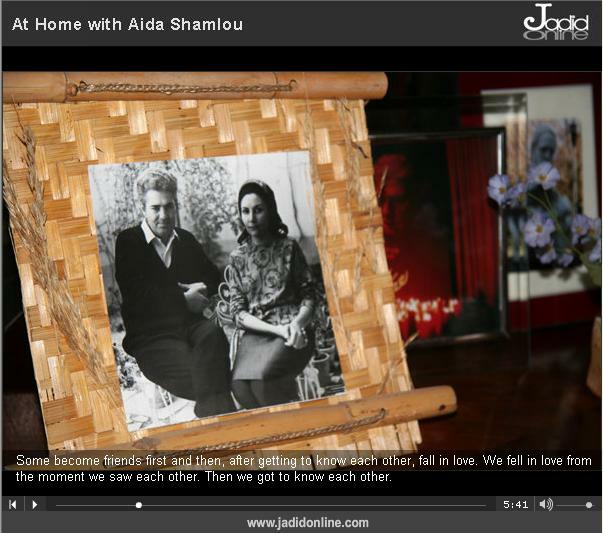 In an exclusive interview with Jadid Online, she tells the story of their love and partnership in life. Ayda Serkisian is Shamlu's third wife who became a very instrumental figure in his life and remained with him until his death in 2000. Her first name, Ayda, appears in many of his later poems. Pashaii who supervises Shamlu's works said that some of the items such as several paintings were trusted to Shamlu when he was alive. The original owners did no take the items back and liked them to be transferred to Shamlu's museum some day. Shamlu (1925-2000) was one of top Iranian poets in blank verse style.